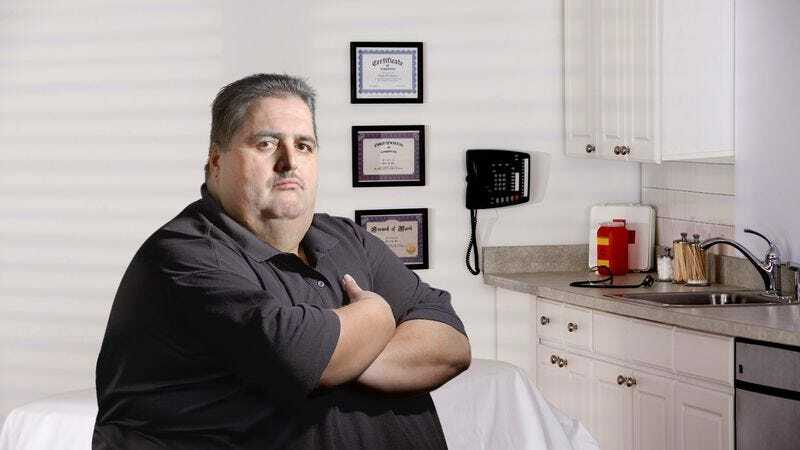 RED OAK, IA—After his doctor ambushed him Tuesday with suggestions that his weight was becoming a serious health problem, 450-pound local man Dale Carver, 43, reportedly told his physician that he hadn’t come to his appointment for a lecture on how to live. “Look, professor, I didn’t come in here today for a lesson plan, so let’s maybe take it down a notch or two, okay?” said Carver, noting that he was a full-grown adult who had not signed up for a 15-minute sermon on the life-threatening risks of high blood sugar. “With all due respect, I’m not paying you for food recommendations, so if you could just prescribe me something for my high cholesterol and diabetes, that’d be great.” Sources confirmed that after receiving his prescriptions, Carver went outside, walked to his car, and then spent several minutes regaining enough breath to be able to drive home.